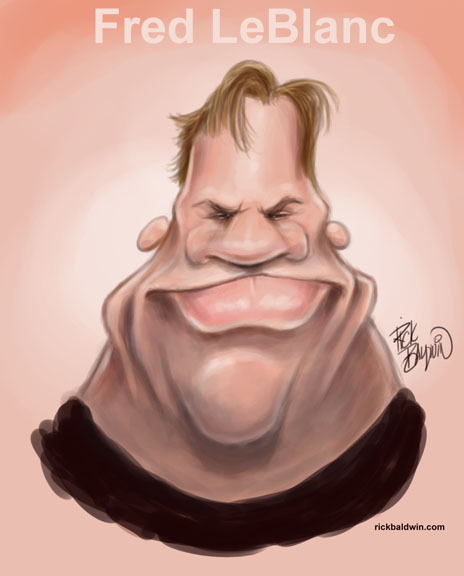 I had too many varied caricature sketches of Cowboy Mouth’s Fred LeBlanc not to do another finished caricature. I think this one is totally different in style from the first one. I wanted to keep the painting style loose and rough to match the extreme exaggeration of the caricature.